The Rock of Cashel was the traditional seat of the kings of Munster for several hundred years prior to the Norman invasion. The picturesque complex has a character of its own and is one of the most remarkable collections of Celtic art and medieval architecture to be found anywhere in Europe. Few remnants of the early structures survive; the majority of buildings on the current site date from the 12th and 13th centuries. 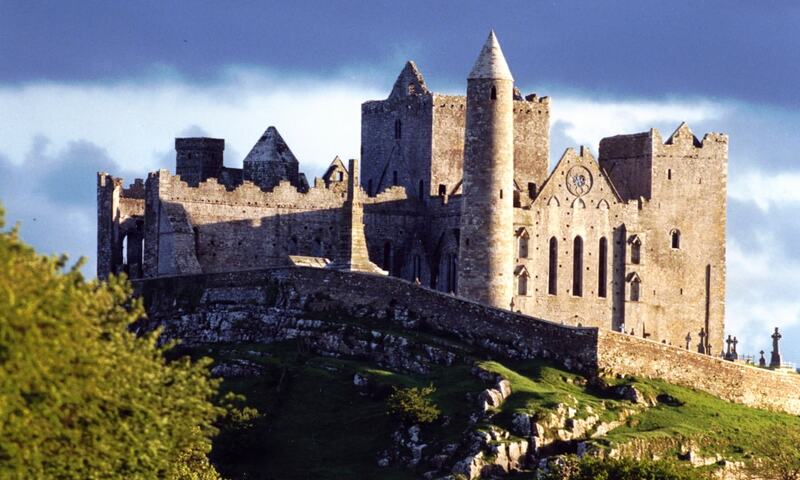 According to local mythology, the Rock of Cashel originated in the Devil's Bit, a mountain 20 miles north of Cashel when St. Patrick banished Satan from a cave, resulting in the Rock's landing in Cashel. Cashel is reputed to be the site of the conversion of the King of Munster by St. Patrick in the 5th century.